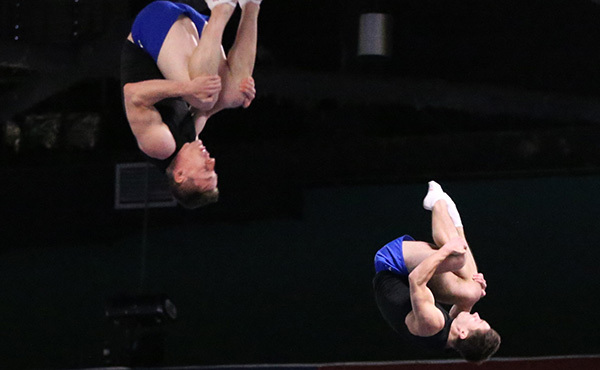 ST. LOUIS, Mo., June 10, 2012 – The senior men's all-around title came down to the wire at the 2012 Visa Championships at Chaifetz Arena in St. Louis, Mo., with the final event determining the 2012 U.S. champion. 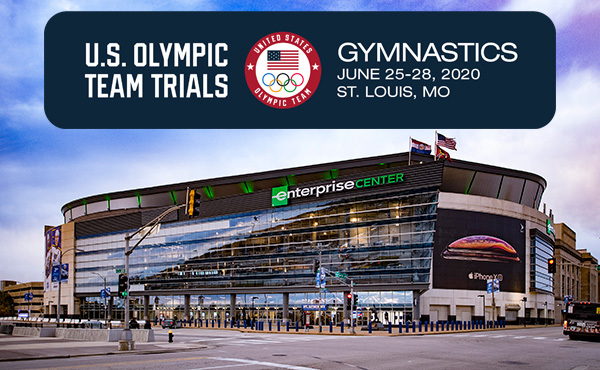 John Orozco of the Bronx, N.Y./Team Hilton HHonors (U.S. Olympic Training Center), and Danell Leyva of Miami/Team Hilton HHonors (Universal Gymnastics), began the second day of competition in a virtual tie, separated by just .050. At the end of the competition, Orozco narrowly edged Leyva to take the title, 184.850 to 184.800. Sam Mikulak of Ann Arbor, Mich./University of Michigan, won the all-around bronze medal, posting a 182.850. Orozco's all-around total for the second day of competition was 93.050, while Leyva and Mikulak posted 92.950 and 92.300, respectively. Competition at the Visa Championships continues later today at 6 p.m. CT with the final day of junior men's competition. 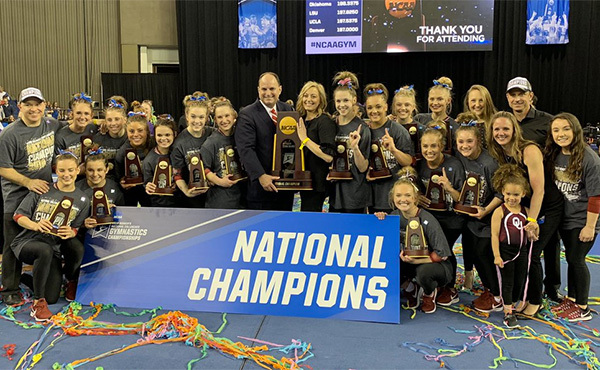 Tomorrow, women's gymnastics takes center stage once again with the conclusion of the junior women's competition at 10 a.m. and senior women at 2:30 p.m. CT.
Orozco's last event was the floor exercise, where he dismounted with a nearly stuck two-and-a-half twist and earned a 15.500. Orozco cupped his hands over his mouth in disbelief as the score flashed – confirming his come-from-behind victory. "I can't even describe what I'm feeling right now." Orozco said after taking his first U.S. senior all-around title. "Danell gave me such a great fight – it was so exciting and so amazing. The level of gymnastics tonight was incredible." Earlier, Orozco started competition on the pommel horse, posting an impressive 15.000 after performing intricate single-pommel work and a handstand dismount. On the rings, Orozco performed two variations of the Maltese before sticking his one-and-a-half twisting, double back dismount (15.350). In rotation three, Orozco's front handspring layout double twist vault earned him a 15.900. Moving to the parallel bars, Orozco continued on a roll, scoring 15.450 for his routine that included a peach half to peach combination. Orozco dazzled the crowd with his high-flying horizontal bar routine, showing a nearly flawless full-twisting layout Tkatchev release move to earn 15.850, before moving to his final routine on the floor. 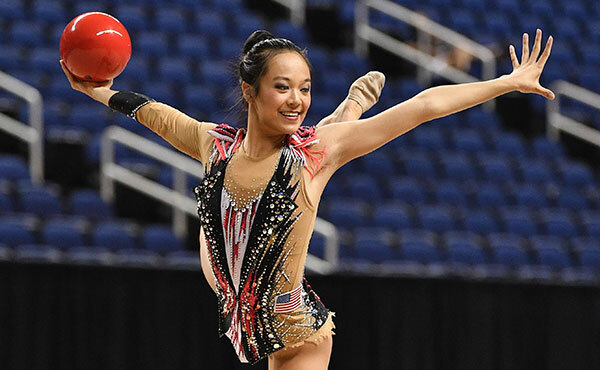 Leyva, the defending champion, started off the second day of competition performing a Kasumatsu one-and-a-half vault (15.900). On the parallel bars, where he is the current World champion, Leyva put on a clinic, earning a 16.000. Showing his trademark flair on the high bar, Leyva soared on his layout Kovacs to earn a 16.350. On floor, he mounted with a laid out, double twisting, double layout and scored 15.450. In rotation five, Leyva posted a 14.700 on the pommel horse. Finishing competition on the still rings with a stuck full twisting double layout, Levya earned a 14.550 and the all-around silver medal. "Today went really well – it was a really good competition for me," Leyva said. "I think it was one of my best competitions ever, and I'm still not done peaking." 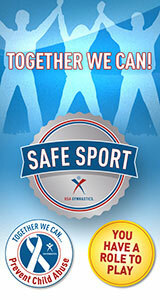 All-around bronze-medalist Mikulak began his day posting matching 14.650 scores on the pommel horse and still rings. On vault, Mikulak performed a Kasumatsu double full to score 16.200. Showing incredible composure, Mikulak scored a 15.600 on the parallel bars despite one of the support rails being tightened mid-routine. With four catch-and-release moves, including a tucked full-twisting Kovacs, Mikulak scored 15.550 on the high bar. 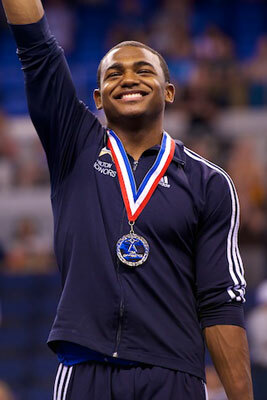 He closed out his 2012 Visa Championships competition on the floor exercise and mounted with a tucked double double. Mikulak scored 15.650. "Competing side-by-side with John [Orozco] was motivational for me to step up my game today," said Mikulak. "I'm ecstatic with my performance and excited to get to the Olympic Trials." 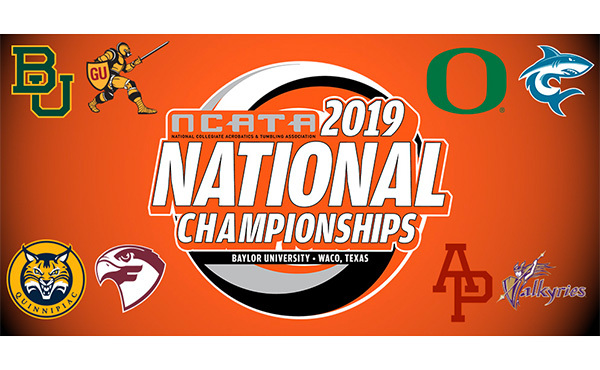 Jake Dalton of Reno, N.V./University of Oklahoma, took the floor title, tumbling a laid out Arabian double to post a two-day total of 31.500. 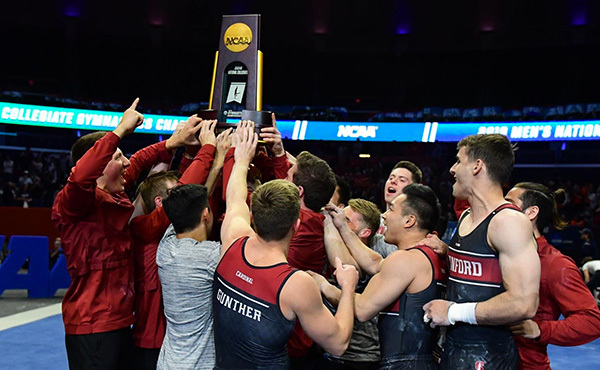 Alex Naddour of Gilbert, Ariz./Team Hilton HHonors (USA Youth Fitness), won his second, consecutive U.S. pommel horse title with a two-day total of 30.100. His routine included a full Kehr, a Tong Fei and handstand pirouette dismount. 2008 Olympic silver-medalist Jonathan Horton of Houston/Team Hilton HHonors (Cypress Gymnastics), who finished fourth in the all-around in his first competition since the 2011 World Championships, won the still rings title. Horton's routine, which included an Azarian Maltese and tucked double double dismount, helped him to a 30.900 total on the event and the title. Sean Senters of Center Valley, Pa./Parkette's, won the vault title, performing a Yurchenko two-and-a-half twist. In the second day of competition, Senters posted a 9.700 execution score on his way to a 32.400 total on the event. Leyva took top honors on both the parallel bars and high bar.